Electrum Partners LLC - Las Vegas needs Social Consumption Lounges for Legal Cannabis ASAP! Electrum Partners LLC - Las Vegas needs Social Consumption Lounges for Legal Cannabis ASAP! Las Vegas needs Social Consumption Lounges for Legal Cannabis ASAP! Like many other cities that have legal adult use, Las Vegas is struggling with the challenge of where people can publicly use cannabis products and is considering legalizing social consumption lounges. Currently, the State of Nevada only allows smoking cannabis in a private residence which includes a porch or patio. Smoking cannabis is prohibited in public spaces including the Strip in Las Vegas. 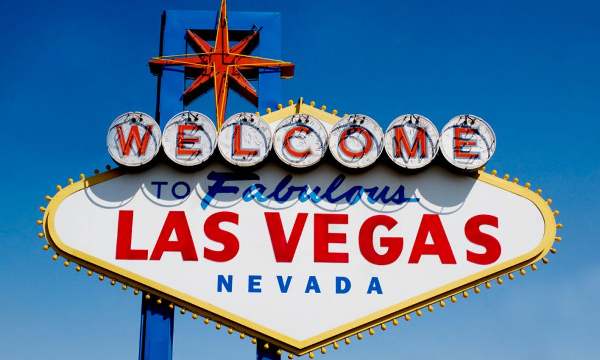 For the percentage of 44 million tourists who visit Las Vegas annually that are interested in consuming flower, edibles, concentrates and more during their stay, there are no options to legally consume the product that they purchase. State policy makes getting caught consuming subject (up to) a $600 fine. Thankfully, the feedback I’ve heard is that the LVPD has been pretty tolerant and (thus far) have refrained from strict enforcement. However, there is nevertheless a glaring need for places where people can consume their purchased products in a safe environment. This is not just a Nevada problem. With ten States having legalized adult use, only a handful of cities have begun to adopt progressive policies to meet the demand. California in particular has pockets of progressive policy including at least seven consumption lounges in San Francisco and West Hollywood in Los Angeles also recently approved cannabis cafes and consumption lounges. Europe provides historical perspective and a much larger sample size. The Netherlands have been operating successful cannabis cafes for decades and the Cannabis Social Clubs (CSC’s) in Spain are wildly popular destinations for both locals and tourists. Certainly, with its stellar track record of crafting progressive policy around adult use products and services, Nevada should be able to address this problem with a smart solution very soon. Unfortunately, as each day passes, the pressure on state officials, local law enforcement and dispensaries will only grow. This catch-22 in regulatory policy is a bourgeoning public relations nightmare for a city that prides itself on great hospitality and world class customer service. For a tourism destination like Vegas, consumption lounges are more than a “nice to have”, they are desperately needed right now. Leslie Bocskor is the Executive Chairman of Electrum Partners, a venture management company in the legal cannabis industry. Please direct inquiries to the Contact form on our website.